How Does Your Website Look on Your Smart phone? What about your iPad or tablet computer? Chances are it doesn’t look so great. When a website is “responsive”, the menus, content, pictures…everything adapt to the size screen you are using giving the user a higher quality viewing experience and more likely to turn browsers into buyers. Don’t Know What Your Website Looks Like on a Mobile Device? Having worked with Google Analytics for quite some time now, I can honestly tell you that between 30% and 50% of your traffic is coming in through mobile devices. And that number goes through the roof if you are targeting a younger, more mobile generation. You need to adapt as your audience changes…and your audience is becoming more and more mobile. The web has moved beyond the desktop, and it’s not turning back. 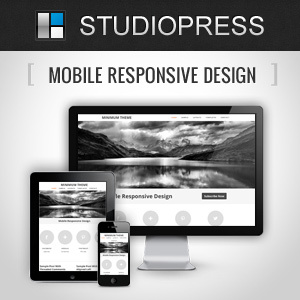 At Lighthouse SEO and Design we are big fans of Studio Press themes and their Genesis framework. Sure, we can still build your next site without even using WordPress and still make it mobile responsive, but more and more often the question is WHY? So why am I telling you about Genesis and Studio Press themes? At Lighthouse SEO & Design we believe an educated consumer is our best customer. We don’t hide behind smoke and mirrors like some in the business. We don’t need to! Quality code, quality content and an emphasis on customer satisfaction is our priority. We aren’t going to tell you we wrote Genesis, but we do like using it and adding our own flare to it. Why would we try to build a better mousetrap when our goal is helping you achieve you Internet marketing goals? 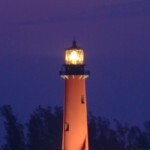 Lighthouse SEO & Design…Websites Designed With the Future in Mind.